In 2016, the TNLCX team raised over $8000 throughout the CX season to help fund 5 complete furnace replacements and repair 12 other furnaces. It's been our goal in 2017 to raise $6000 this year throughout the cyclocross season. It may look like we're not as ambitious this year, but when you factor in the existing TNL Ambassador Campaigns that TNLCX members have been running, we're closer to a $10,000 goal for the season. We’ve just completed our 5th furnace, have a 6th being fundraised for by a TNLCX member who’s leveraging his workplace this Christmas season, and we have the momentum to hit 8 or 9 we believe with existing TNL Ambassador Campaigns. It's been exciting to see the momentum build all season and as the weather is getting colder, we're increasing our activity. You all know it's cold and have a hard time imagining going without the warm of a furnace, so you're generous. 100% of your donations, the merchandise sale proceeds, and the support generous partners like, Masters Heating and Cooling have helped make the following happen. Thank you for your generosity, grace, and your willingness to join us in this mission of helping neighbors with tangible needs beyond their physical or financial ability to meet them on their own. In every case, the homeowner has made as large of a financial commitment as they could make ranging from $100 to $700. This is a collaboration effort with them. They all pass on their appreciation and gratitude for your help. We'll be back with another update near the end of the year. Below is a list of the project details, links to their projects, and updates we've made along the way. This is straight from the website. You can follow this project as we update it. 11.30 Update - Rolland, who is a Korean War Veteran, had his furnace shut off due to a major issue earlier this week. Due to the generosity of all of you and a Giving Tuesday campaign, we funded this project in an hour. Because of that combined with the rapid response and generosity of Masters Heating and Cooling, we were able to get Rolland a new furnace the very next day. Project #3 - Hospice patient, Sith, is taking dialysis every Tue, Thur & Sat mornings at Southgate plaza. 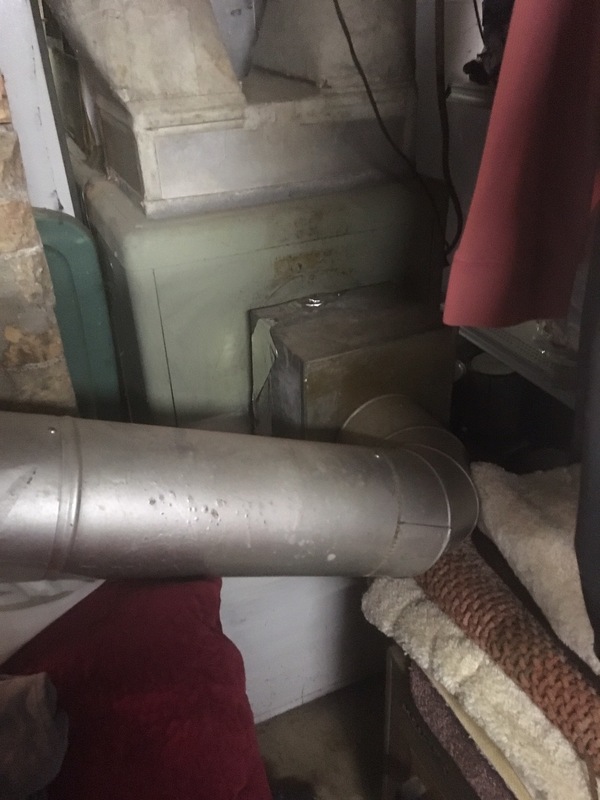 His gas furnace was out and so Masters took a look at it, tried to fix it with a new circuit board, but found out the heat exchangers are cracked. Due to the urgency of this project, NeighborLink got this project installed on November 17th thanks to the fundraising done by TNL athlete, Wes Akers. 11/21 Update: Furnace went in on 11/20! Annie now has heat and she couldn't be more thrilled with it. Thank you so much for your continued support of our efforts. 11/16 Update: We have now raised enough money to get this project schedule and completed next week, before Thanksgiving. Thank you to everyone that has donated, including Ben Lauer who gave up his Birthday to help with this project. 11/10 Update: Masters Heating & Cooling and the NLFW staff have inspected this project and are working to get this project funded/completed. The total project cost will be $1841 and the homeowner is able to cover $641. So, we're trying to fundraise $1,200 to get this done. Any contribution helps us meet this goal and get heat in Annie's home.